Michelle Lin identifies as an Asian American, Chinese American, genderqueer, non-conforming person. For these and other reason she prefers to be referred to with the pronouns “they” and “theirs”. After recently graduating from Chapman University, Michelle moved back to the Bay Area to navigate the real world. Currently, Michelle is interning at a Chinese news media “app” start-up and API Equality – Northern California. Michelle’s social and political consciousness was ignited during their last year in college, after witnessing apathy and internalized prejudice in one of their student organizations. By questioning the context in which social identities have been constructed, Michelle became interested in compiling archival research on the history of minorities at Chapman University. After being encouraged to pursue research on racial justice movements and read more into Asian American history/current events, I felt compelled to participate in community activism back home in a tangible sense. At Chapman, Michelle was actively involved with multicultural students organizations, and since coming home, has been trying to find a new sense of community. They are drawn to spaces that acknowledge and support the intersectionality of marginalized identities, such as Chinese Progressive Association (CPA) and Asian Americans for Community Involvement (AACI). It’s important for Michelle to be part of an inclusive collection – where you can be your entire self. Michelle found APIENC while searching for AAPI social justice organizations to get involved with back in the Bay Area. A lot of my student experiences stemmed from transitioning from an “AZN” identity to figuring out what it really means to be an Asian American. Even with that, I was hesitant in exploring what it meant to be queer and Asian. After one of my mentors from college pointed that out, I felt the need to go further into the part of my identity that I’ve internalized for so long. 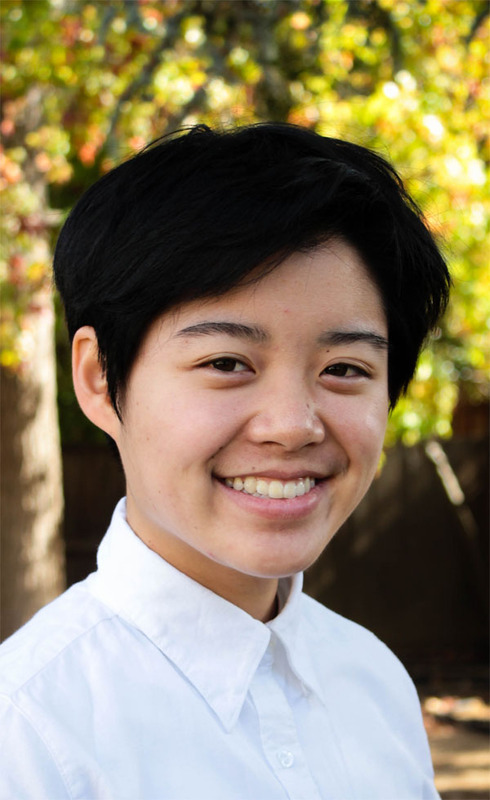 During their time with us, Michelle has actively volunteered with us to transcribe oral histories, interview LGBTQ API activists, upload Wikipedia pages, and fundraise for the Berkeley 5K run. Michelle’s commitment to learning, growing, and engaging within the community has impacted our organization immensely. In the future, Michelle hopes that the LGBTQ API community can continue developing previously silenced intergenerational conversations, forming stronger connections across generations and class backgrounds. They look forward to the dialogues and actions APIENC will lead, facilitate, and support within the movements of these times. It made me realize that a person’s story can’t just be limited to one to two hours of Q&A – there’s so much people have within themselves so continuous engagement is really important. Michelle bought Taylor Swift’s latest album (please don’t judge them) and used to run a fanclub forum for an androgynous Taiwanese singer.